Summer in Summit County is coming to a close. There are just a few weeks left before the fall season begins. That’s why August is the perfect month to get some important home projects finished just in time for autumn. This week I thought we could discuss a few essential tips for making sure your Summit County home is in great shape for the coming fall and winter. The exterior of your home may have gone through a lot over the last few months (or years). 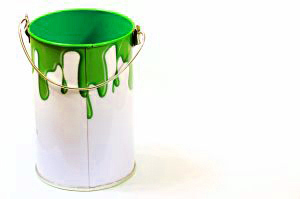 For this reason, you might think it’s time to repaint your entire house or put up new siding. Or if you’re not ready for a major project like repainting, a power washing and applying a new coat of paint to your front door can make a pretty big difference as well. Another idea is to replace the lighting fixtures on either side of your entry. If the ones you have look older or not as stylish anymore, changing them out with newer models can be a simple weekend project that you’re able to do on your own. Allergies are often at their worst during the middle of August. With the pollen counts high, it makes sense to try and prevent allergens from creeping into your home as much as possible. For starters, you might create an area inside your front foyer for you and other family members to place shoes or sneakers. It’s also a good idea to check any outerwear at the door as well. In addition, don’t forget to replace HVAC filters. By doing this, your heating and cooling systems will be better equipped to get rid of irritating particles that can trigger allergic reactions. You’ve gotten the most out of your deck this summer and enjoyed the gorgeous scenic views around you. Now make sure this important extension of your home is protected over the winter months. Sealing the deck is simple, but it has to be done correctly. Plan for a rain-free weekend and start cleaning the deck’s surface. This process must be thorough so that every inch of the wood is spotless. Once the wood is completely dry, put a thin coat of sealant on the boards. One or two coats a year will guard your outdoor patio from the winter weather to come. The school year is set to begin. If you don’t already have one, think about creating a special backpack area by the door your kids use the most. You can create a dedicated area where they can put their bags and any other school-related items as soon as they come home. You might also consider having a corner of the kitchen or living room that can be a homework station. Setting aside areas of the house for specific use can help reduce overall clutter…and stress. Thinking of a Move this Fall? August is the ideal month to get your home ready for the fall, whether it’s tidying up and getting ready for chilly weather or staging your home to sell. If you’re looking to buy real estate in Summit County, I’m happy to put together some properties that might meet your needs. You’re always welcome to start the process with an MLS search of the updated listings on my website, and when you’re ready to discuss your options or prepare for showings, contact me at any time via email ([email protected]) or on my office line. I look forward to working with you!